Waayoo.com(an Educational Div. of Vaskoe Technologies Private Limited) India’s First Machine Learning based Robotics Company, is offering Robotics Training Programs since 2009 in several cities in India. Candidates from different part of India come to join Waayoo’s Robotics Training Programs.Last Summer Trainings also met candidates from neighboring countries including Nepal, Bangladesh, Pakistan and Bhutan, who enjoyed their training at Waayoo.com Noida, Lucknow, Chandigarh and Summer Camps. 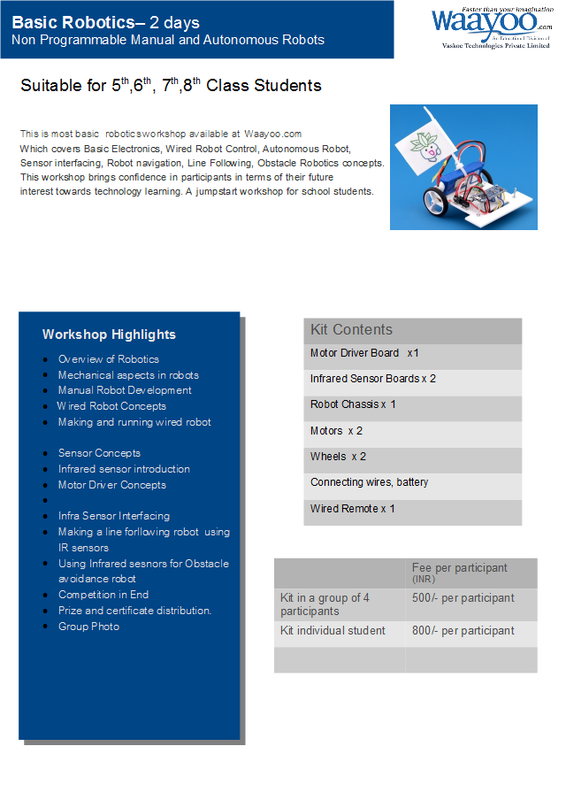 This year Waayoo is again back with some exciting and unique Robotics Training Programs. Humanoid Robotics - drew attention from all kind of people due to its design, flexibility and complexity involved in builiding and more specifically in programming the humanoid for solving complex equations of mechanics involved. 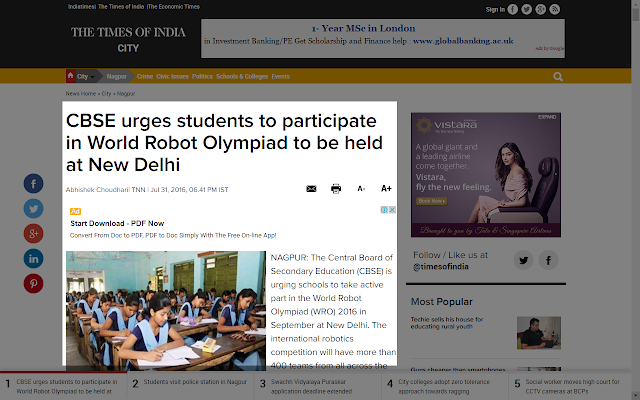 It’s always a fun to make humanoid bots which can do a range of motions – Running, Walking, Flipping, Dancing and Acrobatics.Waayoo is offering Humanoid Robotics Training Programs in Summer Training, Winter Training and Industrial Training Sessions. Quadrocopter UAV Robotics - Why do we call Quadrotor a Robot? It’s simply due to its Artificial Intelligence capabilities. Waayoo provides training in Quadrocopter UAV development which emphasis on selecting the right combination of parts like bldc, esc, propellers, lipo, microcontroller for your quadrotor and development of efficient algorithms for balancing your quad in air. Quadrotor design brings Robotics, Embedded design, Aerodynamics and Control System concepts into a single platform, which makes it a highly sophisticated roboics task. Quadrotor training is available during Summer Training & Internship Program. 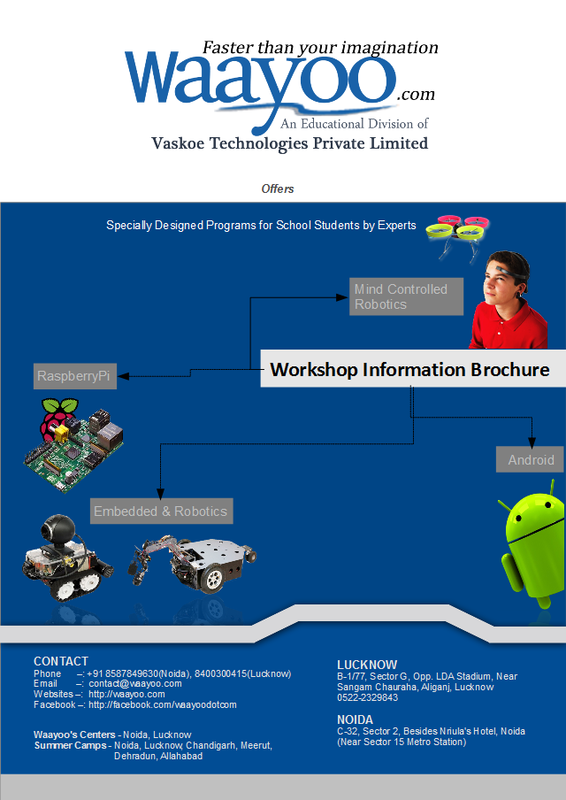 Vision Robotics Vision Robotics Training Program by Waayoo.com takes you one step further in the field of Robotics. 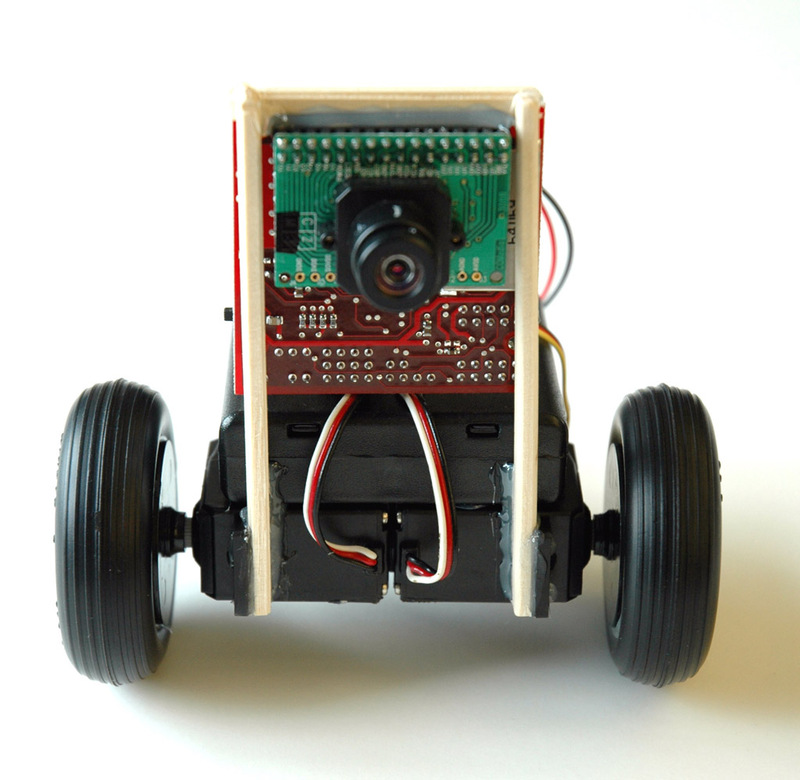 Vision Robotics brings real time image processing task to robots for motion control, automatic navigation and artificial intelligence. GPS-GSM Robotics Global Positioning System has become widely accepted technology for finding the position of devices in terms of geo-coordinates. 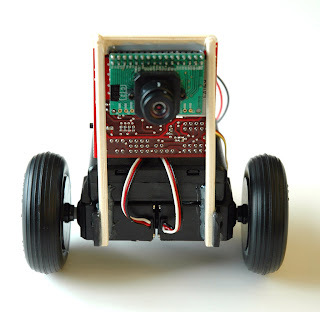 Outdoor localization of Robots is a challenging task in the field of robotics. Waayoo offers training program in GPS based Systems to create a Robot which can follow a map based on input from a remote station. GPS-GSM Robotics is also being used in advanced localization of our quadrotor which can return back to home after completing the assign task. Waayoo presents Free Workshops on every Weekends Saturday & Sunday. Join Now to learn new Technologies.Register Now. Limited Seats! Visit Waayoo Lucknow center and confirm your seat today. 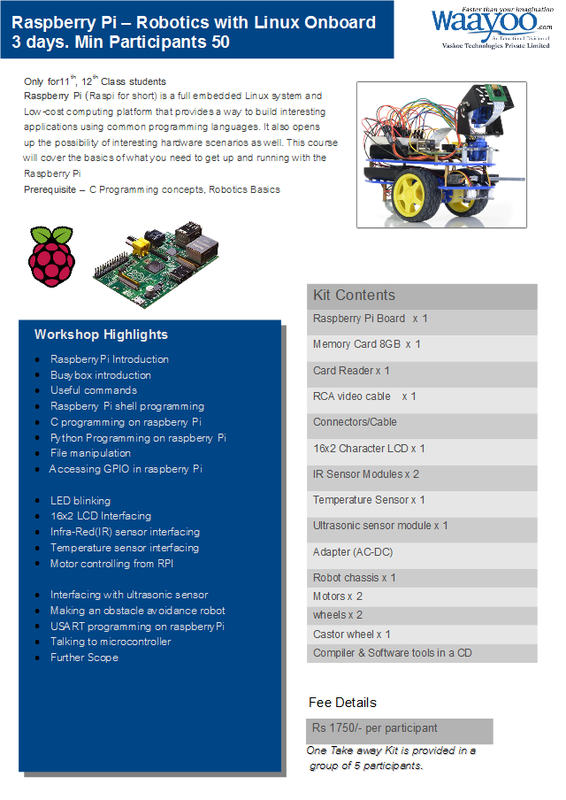 Alternatively you can register at http://register.waayoo.com and write Free Workshop – workshop name in the course info. while filling the online form. Waayoo Student Coordinators are a direct link between Students and Waayoo, who are alloted by Waayoo on Institute basis with a max. no. of 4 in a particular Institute. There is no special criteria for the selection of coordinators. Any student who is interested can be a part of it by simply filling a Waayoo Coordinator Form. Sincerity and dedication of students in their respective field is the only thing which waayoo take in to account for the selection of coordinators. Silver Coordinators – When you apply for a coordinator, you start as a Silver Coordinator. Providing Waayoo’s Latest Information about new products, Training & Workshop programs to your college, department and Colleagues. 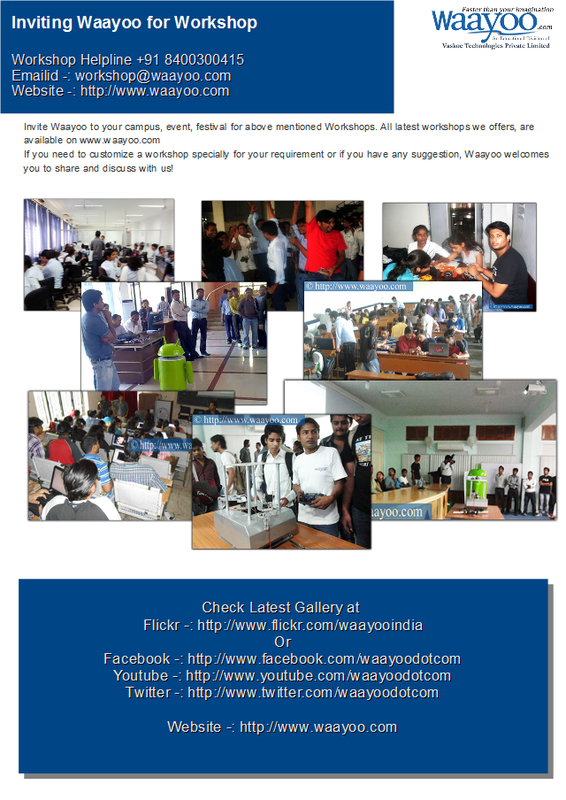 Organizing Waayoo Workshops in various Technologies at waayoo centers and your college/department. Silver Coordinator can take part in any 2 of the Waayoo Training & Development Programs for free. Waayoo support for you to work on your Ideas or Project. Managing Silver Coordinators in your institute. Gold Coordinator can work with Waayoo as an Intern, which facilitate them to get an experience letter of parent company Vaskoe Technologies Pvt. Ltd.
Join any 2 of Waayoo’s Advanced Training/Workshops for free.